Northwoods, first smoke in this little gal. MacB HH Vintage Syrian in a Bjarne bent apple. Early Morning Pancake in a smooth straight late 1970s Tinderbox Selected Grecian Briar Dublin. Edgeworth Ready Rubbed Match in a medium bend beater 1979 Aalborg natural freehand made by Nording. “The value of tobacco is best understood when it is the last you possess and there is no chance of getting more.” -Bismarck. A cool overcast and rainy morning. Loaded some Blue Note in a Bent Canterbury Dublin. Coffee flowing..
Royal Yacht in a 1980 smooth Lorenzo Ambra 803 Oom Paul with a lucite stem. 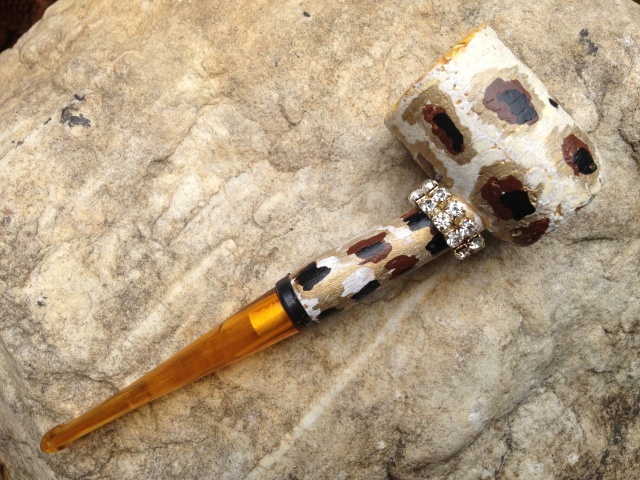 Golden Age in a straight 1978 black sandblasted Sir Brent billiard with lucite stem and silver band repair on the shank. McC 2015 from 2011 in a Charatan 402. 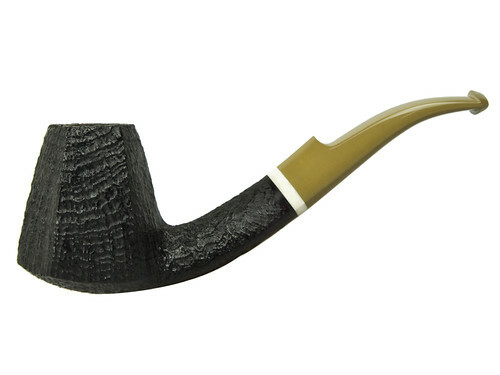 Country Estate in a bent 2013 black Rekamepip Rock Cob poker. Motzek Strang in a 1999 medium bend black sandblast Savinelli Tris 677KS apple with a cumberland stem. Brigadier Black Alamo in a cob....just wonderful...now I know what you cob freaks are talking about. Next up...some VaPer. in the cob. 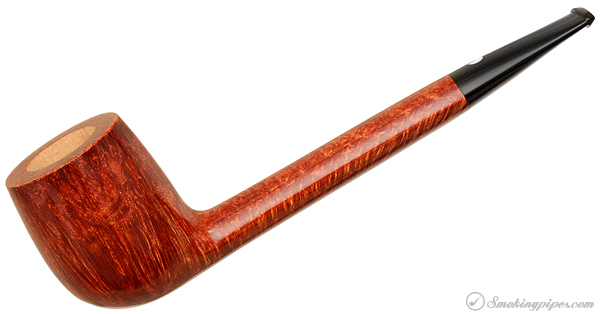 Maple Street in a 1980 raw sienna light relief Rossi 1886 Visconte 245 Oom Paul with an Amber colored stem. Dunhill Elizabethan Match in a 2002 smooth Rinaldo Silver Line 3 EGER 05 paneled horn. Margate in an Askwith morta bulldog. Innis & Gunn on the side. Penzance in a Vauen Barontini. Got religion all day. 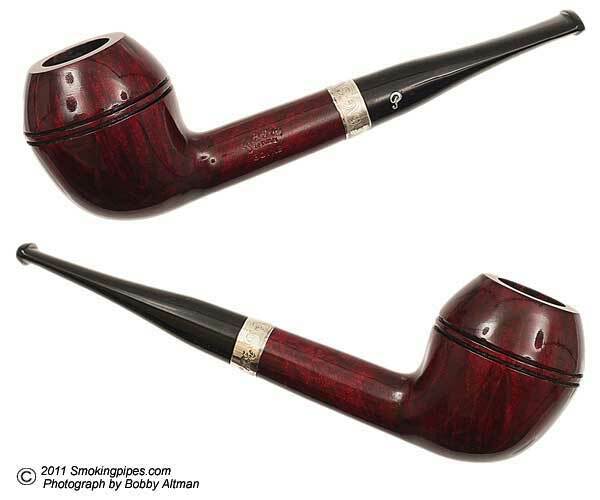 Finishing out the day with my 5th bowl of Presbyterian, this one in my Peterson River series (Boyne) st. Rhodesian. I keep this upI'll be finished with this tin before the end of the month !!! Metropolitain in a 1981 smooth full bend Mauro Series Two 315 p-lip that copies the Peterson system.